The Range Rover Sport, the most dynamic Land Rover ever, now gets an even more exciting look of the new flagship, Supercharged 'HST' specification. Having received its UK debut at the Goodwood Festival of Speed Press Launch for 2006, the HST adds a host of additional equipment along with dramatic design cues inspired by the Range Stormer concept car, first shown at the Detroit auto show in January 2004. The new HST will be based on the Range Rover Supercharged specification with the additional equipment including: electric sunroof, an electronic active locking rear differential and privacy glass. The interior is distinguished by a unique hand polished lined oak trim. 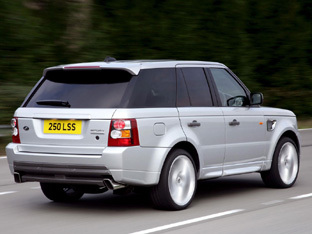 The exterior design is the work of the same Land Rover team that created the original Range Stormer. 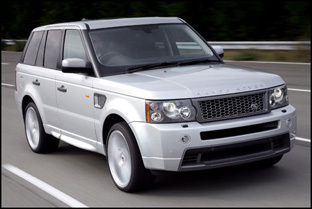 It includes new flush-fitting front and rear bumpers and a new larger open-mouth grille. The front lower air intake is deeper and new front fog lamps are mounted in the spoiler.